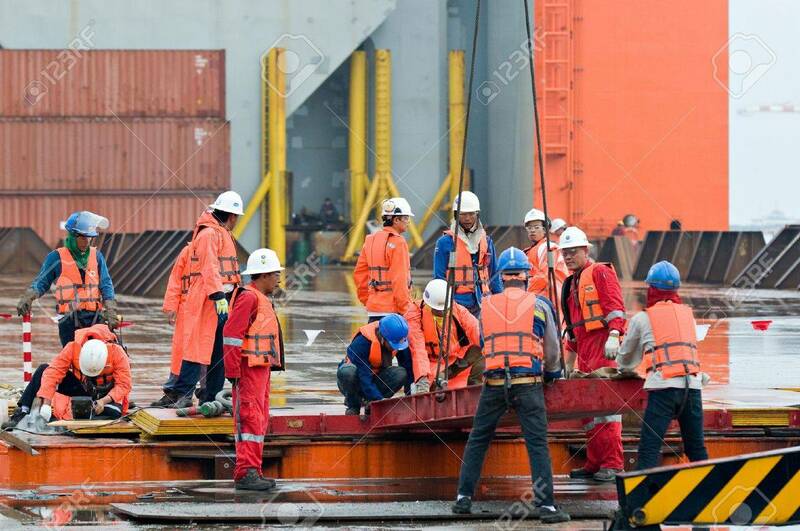 LAEM CHABANG - OCTOBER 2: Workers Preparing For Shipment Of The.. Stock Photo, Picture And Royalty Free Image. Image 15547507. Stock Photo - LAEM CHABANG - OCTOBER 2: Workers preparing for shipment of the 6,000 ton Gudrun module for shipment from Thailand to Norway in Laem Chabang, Thailand on October 2, 2012. LAEM CHABANG - OCTOBER 2: Workers preparing for shipment of the 6,000 ton Gudrun module for shipment from Thailand to Norway in Laem Chabang, Thailand on October 2, 2012.